A fifteen year veteran, Joe was hired as an applications engineer. He provided frequency coordination for large multi-channel wireless microphone systems used by Broadway productions, major theme parks, and broadcast networks, including the frequency plan used for NFL football games. He is Shure’s lead spokesperson on White Spaces and spectrum issues. He has presented training sessions for retail salespeople, created online training content, and supervised the deployment of third-party in-store product demonstrators, both in the U.S. and abroad. Sabine makes innovative Wireless and DSP products. Rob has 30 years experience in live sound, recording, and sound design in the US and South America, has produced radio features for NPR, and will do almost anything for his customers. Steve Savanyu has 30 years of sound and production experience. Responsible for Audio-Technica’s educational and training programs for all market segments including studio, live sound, broadcast, installed sound, house of worship and, theatre. AKG’s Mike Torlone has been a fixture in Pro Audio for more than 40 years. He held various marketing and product management positions with Electro-Voice for over 13 years, and for the last six years, Torlone has been with AKG. He’s a graduate of Marshall University (Huntington, WV) and of Syn-Aud-Con. Karl Winkler has worked in professional audio for over 15 years, including as a front-of-house touring engineer and also for equipment manufacturers including Neumann, Sennheiser, and most recently, Lectrosonics. White Spaces, n. 1. [LYONS] White Spaces are the TV channels that are not occupied by a TV station. These vary by location, and are used by wireless microphones, in-ear monitors, production intercoms, and wireless cue/IFB systems. 2. [CIAUDELLI] White Spaces is the term used for TV channels between 2 and 51 that are not occupied locally by an active TV broadcast. However, it is a misnomer. These so-called white spaces have been used by production professionals, entertainers, and worship leaders for years for wireless mics, monitors, intercoms, and video. 3. [WINKLER] White Spaces are those portions of the spectrum between TV signals or other types of RF carriers currently in use. Today, just about all wireless microphones operate in these white spaces. 4. [ROTHSCHILD] White Spaces are the areas of the VHF and UHF TV bands that are between TV channels. These parts of the spectrum have traditionally been used by wireless microphones. 5. [SAVANYU] White Spaces are the portions of the broadcast spectrum that are unoccupied by a TV broadcast station in a given community. These are seen by some (Wireless Innovation Act – WINN) as open or unused spectrum. Some of these frequencies are currently used by wireless microphones, IEM systems and other broadcast communications gear. The white space frequencies vary by community depending on what TV channels are active. 6. [Torlone] White Spaces are unused, un-allocated portions of the RF spectrum. DTV, n. 1. [LYONS] DTV is the acronym for Digital Television. Because digital TV stations can be spaced more closely together (even on adjacent channels) without interfering with each other, television stations will occupy a smaller section of the UHF spectrum (470 – 698 MHz) than is currently used. 2. [CIAUDELLI] DTV transmits discreet bits of data rather than the traditional analog modulation technique. It allows simulcasting of multiple programs and or high definition signals to be transmitted in the same 6 MHz wide TV channel. 3. [WINKLER] DTV refers to Digital TeleVision. This is a type of digital signal transmission of TV signals going on now, concurrently with the analog TV broadcasts. 4. [ROTHSCHILD] DTV is broadcast television that transmits a digital rather than analog signal. It allows for better signal quality and multiple streams on each channel. 5. [SAVANYU] DTV is the digital transmission scheme used by broadcasters that will supersede analog TV in February 2009. This is not to be confused with HDTV (High Def.). People with analog TVs and off-air antennas (ie: rabbit ears) will not be able to receive TV signals using their current sets and antennas after February 2009, without a converter box or DTV tuner. Cable and Satellite users already using a set-top box will be unaffected. 6. [Torlone] DTV refers to television broadcasts using digital data transmission. Auctioned Spectrum, n. 1. [LYONS] Auctioned Spectrum is the portion from 698 to 806 MHz. Most of it will be used for new wireless services; some has been reserved for Public Safety communications. 2. [CIAUDELLI] Auctioned Spectrum refers to the portion of the spectrum between 698-806 MHz that the FCC has reallocated for sale to the private sector. This is known as the digital dividend. Recently AT&T and Verizon placed winning bids generating a $19 Billion windfall for the government. It is important to understand this is separate and distinct from the white space debate. The digital dividend will happen. White space legislation might happen. 3. [WINKLER] Auctioned Spectrum refers to the portion between 698 and 806 MHz that the FCC has auctioned in February and March of this year. Some of this spectrum is also reserved for public safety use such as police, fire, etc. As of February 19, 2009, there can no longer be any terrestrial TV broadcasts (analog or digital) in this portion of the RF spectrum. 4. [ROTHSCHILD] The FCC awards the RF spectrum to the highest bidder(s). These sections may be for either primary or for exclusive use. 5. [SAVANYU] Part of the change to Digital TV is the migration of all broadcasters to below 698 MHz (TV Channel 52). This migration will open up the spectrum in the old TV channels 52 through 69 also known as the 700 MHz band, for use by other services including public safety and commercial communications. 6. [Torlone] Auctioned Spectrum is the term for frequencies in the range between 698.00 and 806 MHz that have been sold by the FCC. Unlicensed Devices, n. 1. [LYONS] Unlicensed Devices (in this case) are consumer wireless devices like laptop data access cards, smart phones, etc. The FCC has proposed to use the White Spaces to enable wireless Internet access for these types of devices. 2. [WINKLER] Unlicensed Devices are those which do not need to be registered with the FCC. There are a number of companies vying to introduce devices that will operate unlicensed in the current (and future) white spaces between TV and DTV broadcasts. 3. [ROTHSCHILD: Permission to broadcast in a given part of the spectrum is granted through licenses. Many devices are either allowed to broadcast without a license due to the part of the spectrum they use, or are simply operating illegally. 4. [SAVANYU: If the White Spaces legislation passes, unlicensed devices are electronic devices that will be allowed to operate in the “unused” spectrum below 700 MHz. Supposedly, these devices will check to see if anything else is operating on their frequency before they operate (including a wireless mic). However, the first round of FCC testing on these unlicensed devices failed. The proposed legislation allows for 4 Watts of transmission power, which is very high compared to typical wireless devices. One reason for the higher power is a desire to be able to provide “Last Mile” service to TV customers in areas too remote for cable or good satellite coverage. There are already unlicensed bands available for use. These include 902-928 MHz, 2.4 GHz and 5.8 GHz – where there are many computer networking and cordless phone devices. A proliferation of convenient wireless consumer products and accessories should be expected as additional unlicensed spectrum opens. 5. [Torlone] An Unlicensed Device is a piece of gear that operates with or emits radio frequencies that has the potential to interfere with the transmission and/or reception of a licensed signal. So now that we have a clearer understanding of a few key terms, let’s get into some key questions. What happens to existing wireless equipment in houses of worship after February 19th, 2009 – do churches have to buy all new gear? Chris Lyons: As the auctioned portion of the spectrum gradually begins to be used in 2009 and beyond, some users operating on frequencies above 698 MHz may begin to notice interference. Newer frequency-agile systems can (in some cases) be retuned to lower frequencies that are in the TV band; older fixed-frequency systems will probably need to be retired. The FCC has not made a decision regarding new devices operating in the White Spaces, so the impact on wireless systems operating below 698 MHz is not yet clear. Joe Ciaudelli: Most existing equipment will function properly for the remainder of its useful lifetime. For new purchases, we are advising customers to choose equipment that operates on frequencies outside of 698-806 Mhz. Karl Winkler: Great question. No, I don’t think they will. Our RF spectrum has been eroding all along, originally prompting the move from VHF wireless systems to UHF, then frequency agile systems, tighter filtering, better frequency coordination, etc. So the next step will be a further evolution in this direction. But many, if not most of those currently using wireless microphones will find that with careful attention to frequency selection, antenna system design and placement, transmitter power, etc. that they will still be able to operate their systems for several years into the future. This is not a guarantee, however, since we don’t know exactly what will become of the spectrum. And most likely, there will be some spectrum loss but we don’t know how this will affect users in each locality. Rob Rothschild: That will depend on their location and on the UHF bands they are currently using. Wireless mics in the 700 MHz band will need to be either modified or replaced, and it is quite possible that mics using the rest of the TV bands will experience unpredictable interference. Users who have already moved to alternative bands are immune to the TV-based problems found in the UHF bands. Steve Savanyu: That all depends. If a church is using equipment in the 700 MHz band, it is likely their equipment will experience interference when new devices in the auctioned spectrum come online. Also it will become technically “illegal” to operate a wireless microphone in most of the 700 MHz band. Under current FCC regulations, wireless microphones operate in vacant television channels as licensed secondary users under Part 74 of the FCC Rules. This will not be an option as of February 2009. In other situations churches using wireless in the 600 MHz band and lower may experience more interference (from migrated TV stations). 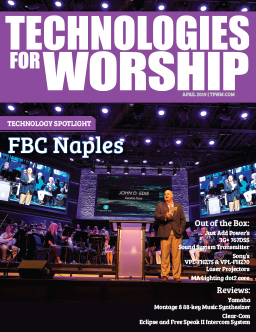 Churches that use a large number of wireless mics may find it more difficult to get them all working together due to RF crowding, but churches using one or two channels of wireless should be able to operate normally. After the auctioning process, what are some examples of the new devices that will be operating in the Auctioned Spectrum (above 698 MHz) frequency band? Lyons: Most of the auctioned spectrum was purchased by national or regional service providers who plan to use it for mobile data devices (laptop wireless access cards, etc.) or mobile video (such as Verizon’s Vcast service and Sprint’s MediaFlo service). Most of these services will not “go live” until late 2009 or early 2010. Ciaudelli: Mainly cell phones and PDAs. Winkler: It’s hard to guess exactly, but I would suspect we will see more things like the iPhone, iPod Touch and other integrated portable devices used by consumers. There may also be portable transmitters set up on a temporary basis at sporting events, etc. Rothschild: Personal communication devices of all kinds are planned for this band. This may range from cell phone-like devices, to Internet tablets, or even home appliances that communicate with your handheld device. Imagine your refrigerator calling to remind you to get milk on the way home. Savanyu: Part of the 700 MHz band is allocated for public safety communications. The other blocks will likely be sold to communications companies and data networks looking for spectrum to be used with wireless broadband networks. What are some resources available to churches that can help them sort out their own specific concerns? 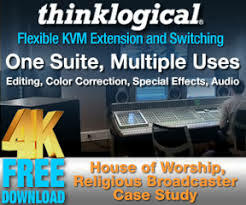 Lyons: Houses of worship should take inventory of their wireless gear and investigate the local DTV channel plan that will take effect in February 2009. Then they should discuss options with the manufacturer and the company that sold and/or installed the equipment. Due to the wide variety of equipment in use and the different spectrum usage patterns in different parts of the U.S., every user’s situation is somewhat unique. Ciaudelli: The frequency finder on www.sennheiserusa.com. Also our help desk at any of our offices worldwide. Winkler: First, it’s already important for them to know more about how wireless mics work, how to set them up, how to coordinate frequencies, and how to keep their systems running. Most manufacturers offer training courses or online materials to help with that learning process. There are also classes at InfoComm and seminars at AES, for instance. Rothschild: The FCC web site has plenty of information, including channel allocations by geographic territory, but it is difficult to use. Their DTV site (http://www.dtv.gov/) is somewhat easier. Some wireless manufacturers have information on their web sites, while others appear to be ignoring this issue. Savanyu: Most of the major manufacturers have information on their web sites. Audio-Technica for example does not offer any wireless operating in the 700 MHz band and has not for several years. The FCC web site contains a lot of information as well. 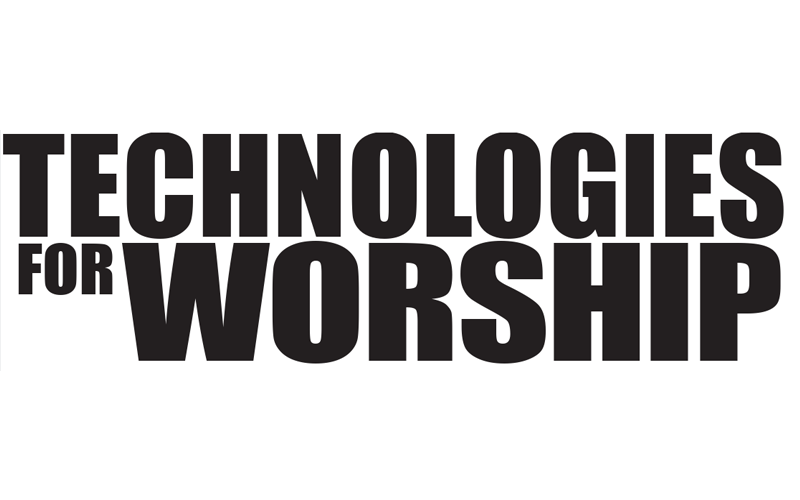 Audio-Technica’s Audio-Solutions department can help churches with sorting out their wireless concerns as well. Other than wireless microphones, what kinds of products will be affected by the White Spaces issue? Lyons: Wireless in-ear monitors, wireless production intercom systems, and assistive listening systems that use RF (as opposed to infrared transmission) all share spectrum with broadcast television stations. At this point, both VHF and UHF TV channels are being considered for use by White Space devices. Ciaudelli: Wireless monitoring systems, intercoms, wireless video systems, and TVs. Yes, interference to TVs is a primary concern. Rothschild: For many devices this is not an “issue” – it is an opportunity. Our world is growing increasingly dependent on instant communication, and the UHF TV bands are well suited for this broadband broadcast and reception. City-wide WiFi devices will be more reliable, and dedicated social networking or casual gaming devices may become a reality. Savanyu: Any RF device that currently uses the TV bands will be affected. This includes wireless microphones, IEM (In-Ear-Monitor) systems, production intercom systems, etc. The major broadcasters in the U.S. are especially concerned about interference to TV programming and TV reception as a result of unlicensed device operation. Are wireless microphones going to become illegal or stop working in 2009? Lyons: No. The FCC has not proposed any regulatory changes that would affect the ability of wireless microphones to continue operating as they do now. The FCC has also repeatedly stated their commitment to protecting both TV stations and wireless microphones from interference from new devices. Shure has been working closely with the FCC to make sure that this protection works in real-world environments. Ciaudelli: It hasn’t happened yet, but the FCC regulations are likely to change for operating equipment between 698-806 MHz. Functionally, the equipment will work. You may have to factor in some additional criteria, but proper planning has always been a requirement for successful wireless operation. Winkler: This is unclear at the moment. Earlier language from the FCC indicated that they expected the auctioned spectrum to be “vacated by current users”. However, low-power TV broadcasts like repeaters, etc. appear to be waived. Our interpretation now is that the FCC has softened their view on this and just like today, where wireless mic users are not supposed to interfere with TV broadcasts, we’ll probably see similar language. Rothschild: Yes, mics in the 700 MHz band will be illegal. Of course, almost all UHF mics are already illegal in the USA. The FCC requires a license to use the traditional TV part of the spectrum, so if they ever wanted to, they could cause real trouble for all these UHF users. Once all the new consumer devices begin to come online, with high-powered broadcast signals to support them, wireless mics will begin to experience interference that may render them useless. Savanyu: In reality, RF devices operating in the TV bands need to be licensed. However many people buying a wireless microphone do not license them. We publish in all of our product manuals the following: Please note that wireless frequencies are shared with other radio services. According to Federal Communications Commission regulations, “Wireless microphone operations are unprotected from interference from other licensed operations in the band. If any interference is received by any Government or non-Government operation, the wireless microphone must cease operation…”. When the analog TV transmitters are turned off, spectrum occupied by them will open up. This could benefit some wireless microphone users in some parts of the country. However, in other areas, especially major metro centers, the RF spectrum could become even more crowded, possibly limiting the number of wireless systems able to be used together in one location. However, someone’s wireless will not just quit working. Why doesn’t the wireless microphone industry get together and buy some spectrum? Lyons: In the most recent auction, Verizon paid more than $9 billion for a nationwide license to just 22 MHz of spectrum. Most companies in the audio industry do not have the financial resources to participate at that level, and even if they did, the sale of wireless audio equipment does not generate monthly user fees or other revenue streams that would offset the cost of purchasing spectrum. Ciaudelli: Too expensive. Google bid $4.6 billion for about 2 TV channels and lost. That bid is bigger than the wireless mic industry. Winkler: The costs would be prohibitive. Portions of the spectrum have sold for over $1 Billon and all the way up to $9 Billion. These figures are of course far above the entire revenues for all of the wireless microphone systems sold in a year’s time. However, the manufacturers have indeed banded together and lobbied congress in order to raise awareness of these issues. This appears to have helped somewhat in protecting the rights of users. An example is that the FCC requires white space transmitters to “sniff out” existing signals to avoid stepping on such signals when the new device turns on. If this works, it is good news indeed. Rothschild: Unfortunately our industry is not large enough to support the cost of bidding on spectrum space. Some conventional wireless companies that still use the traditional TV bands are lobbying congress to allocate spectrum space for wireless mics. Lyons: Digital wireless equipment is still subject to interference from other devices that share the same spectrum. Anyone who has experienced static on a cordless phone when the microwave oven is turned on or had a dropped call on their mobile phone knows this. Data devices (phones, Blackberry’s, etc.) deal with interference by delaying the signal long enough to re-transmit lost data, but real-time high-fidelity devices like wireless microphones can’t do that without noticeable artifacts. As wireless audio technology continues to evolve, this may change. Ciaudelli: No. It does allow the possibility of error correction if data is dropped, but that adds latency (delay). Plus, digital wireless also has issues with battery life, and occupied bandwidth. These issues are high obstacles for many wireless mic and monitor applications. Winkler: No, it is not. First off, digital wireless systems generally do not have the range of good UHF analog systems. There are a number of technical reasons for this. But as more and more digital signals are “on the air” including DTV, unlicensed devices and wireless microphones themselves, the general level of background RF noise rises. This presents a problem for digital wireless microphone systems. Rothschild: Interference can affect any wireless system when the interfering signal becomes stronger than the wireless system’s signal. Some digital wireless systems have advantages in that there is error-correction and the signal is spread out over a larger bandwidth, reducing the potential for interference. Savanyu: No wireless signal is ever completely free from interference. Many of the Digital wireless systems are taking a digital audio signal and modulating it onto an analog carrier (narrower deviation allows them to operate more channels in a given piece of spectrum). These systems will still be affected by other RF devices (TV Stations, etc.) operating in their band. Other digital systems operate out of the TV Bands but may be susceptible to other forms of interference. The only real “interference free” microphone connection is a piece of copper wire. Are other bands (like 900 MHz or 2.4 GHz) available for use by wireless microphones? What other kinds of devices operate in those bands? Lyons: Wireless microphones are permitted to operate in several different frequency bands, including 900 MHz and 2.4 GHz. These bands are also used by a wide variety of consumer, commercial, and industrial wireless equipment, from wireless security cameras to Bluetooth headsets to WiFi hotspots. The “wireless population density” of these bands is actually much greater than the TV bands, even with the addition of new device. Ciaudelli: It’s noteworthy that there is a band of 944-952 MHz that is allowed for wireless mics. It is also used for licensed satellite transmission links (STL), but many of our savvy customers are using this band. Other parts of the 900 MHz range and the 2.4 GHz band are license free. They are very crowded with a wide variety of consumer electronics – like the UHF range would be if white space legislation is enacted without limitations. It is important to keep in mind that the wave propagation characteristics are less favorable in the 2.4 GHz band. You need a lot more power to transmit the same distance, and the wave can be easily blocked by a solid metal object. There is a reason why TV broadcasters use VHF and UHF frequencies – they are the beachfront realty in the RF landscape. Winkler: Yes – in fact, we make products in the 900MHz range currently. There are manufacturers making products in the 2.4GHz range as well. One of the problems with the 2.4G range is that there are millions of other devices operating there as well, such as cordless phones. However, most of these devices are very low power, as mandated by the FCC, and pose little problem to potential wireless users in this area. But as time goes on, this may change. Rothschild: Both these bands are being used right now for wireless microphones. The 2.4 GHz band is an unlicensed band, and it contains enough space for many simultaneous channels. Many large churches, universities, and corporations are already using multiple wireless microphones in the 2.4 GHz band. This band is also used by wireless Internet devices, but by international agreement these devices are low-powered – nowhere near the power of a TV station. By using proper antennas and channel selection devices with similar power levels you can coexist in the same location. Savanyu: Some manufacturers are offering wireless microphone products that operate in these bands. However, they must share the spectrum with other devices such as wireless computer networks and cordless phones. Audio-Technica’s SpectraPulse is unique as it operates up in the 6 GHz range and its UWB method of transmission is time based so there is no need for carrier channels. As you can see there is still a fair amount of uncertainty when it comes to this issue. As it stands, there will be an element of waiting to see where the chips will fall before knowing how to soundly move ahead with using your current wireless systems. However, there are also ways to future proof by doing the right research. TFWM will be continuing to cover this issue as developments occur. At InfoComm 2008, we’re holding a panel session with all of the contributors to this article. Between the printing of this issue and the panel discussion (which is happening June 19th, 2008) there will have been changes in regulations and further activity in the auctioning process. We intend to keep everyone as up to speed as possible to make sure that no house of worship is caught unprepared. Make sure to keep checking all of the resources provided by these manufacturers, new posts on the FCC’s site, related blogs, etc. If you have specific questions of your own after reading this article, send them to krc@tfwm.com and we’ll get answers for you. We’re here to help!